Your support allows us to continue our work helping older children in foster care make lifelong connections and find adoptive families. Thank you. The DCFYI Gingerbread House & Holiday Party is Sunday December 16. 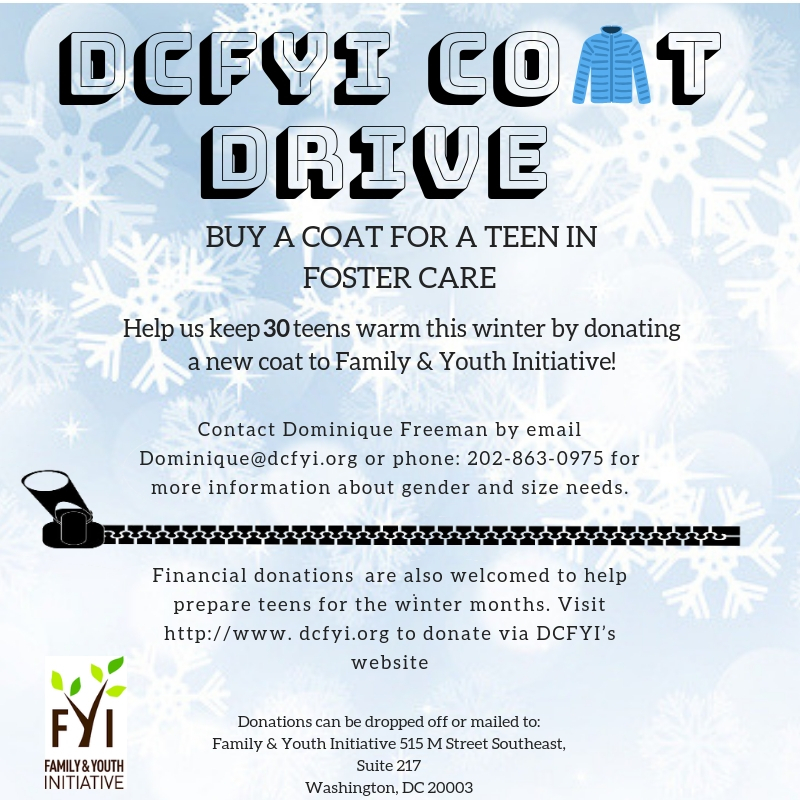 Help brighten a teen's holiday by participating in the gift giving or coat drive! Your donation is an investment in the future of deserving youth. It’s an affirmation of the importance of this work and a belief that together we can make a better life for the youth we serve. Please support our efforts to help foster youth find the nurturing and support of a loving family as they prepare for adulthood. Your shopping can help teens find loving families. What could be more rewarding than that? Sign up with any of these services and DCFYI will receive a small donation when you shop. Much-needed funding for us at no cost to you. Become a partner; sponsor one (or more) of our events. Share information with your members and help others who might want to host, mentor or adopt learn about us.